West Michigan Whitecaps Tickets Just $5 for Sunday May 27th! Fans of the West Michigan Whitecaps (on Facebook) will have access to a special discount code on Monday, May 21st that will discount the Sunday, May 27th game tickets to just $5 (reg. $10.50). 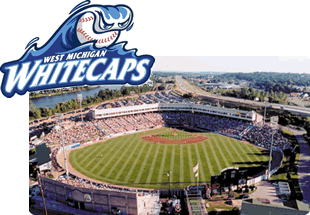 Make sure that you 'like' West Michigan Whitecaps and look for the promotional code on Monday!